Check out her website for information about her books, speaking engagements and the courses and workshops she offers. The site also offers a message board and email newsletter. On her Facebook page you can ask Doreen questions during her weekly Hayhouse radio show and she will answer them on the show. Wednesdays 1-2pm PDT You can also check out her weekly Angel Reading on utube. There other free podcasts and readings you can check out on here. Her call-in radio show is on Hay House Radio and is called Angel Therapy. Amazon Synopsis: In this powerful and comprehensive new book, leading angel expert, Doreen Virtue Ph.D., teaches both healers and lay-people how to heal the body and emotions with the help of our guardian angels. Since 1995, Doreen has been running courses worldwide and has published numerous inspirational books on working with the angels. During that time, she has amassed considerable case studies of miracle healings that occurred when people worked with their angels. The book outlines inspiring and often - entertaining stories of miracle healings of people's bodies, emotions, their children, pets, and even improvements in their finances and material objects. The book includes angel messages about the importance of light, as well as scientific research on the importance of sunlight, sunsets, and moonlight. Amazon Synopsis: Angel Numbers has been created to serve as a pocket guide containing the angelic meanings of numbers from 0 to 999. Designed to fit into a purse or pocket for easy transport, Angel Numbers provides an interpretation of more complex number sequences than was previously available in Healing with the Angels. This new book focuses on numbers such as 123, 337, 885, and so on. Whether you're seeing these numbers on license plates, telephone numbers, the clock, or other locations, they're very real messages from the angels. Angel Numbers will help you instantly understand the meaning of these signs from above! Amazon Synopsis: One of the most common ways in which angels speak to us is by showing us repetitive number sequences. Since the publication of her best-selling book Angel Numbers, Doreen Virtue has received even more information from the angels about the meaning of number sequences such as 111, 444, 1234, and so forth. Angel Numbers 101 clearly explains how to receive accurate messages from your angels and heavenly loved ones whenever you see repetitive number sequences on telephone numbers, license plates, receipts, clocks, and such. 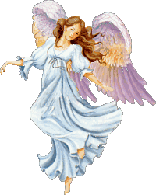 Every message is completely updated for increased accuracy in understanding your angels’ messages. This handy reference guide is small enough to fit into a purse or desk drawer so you’ll always know what your angels are saying. Amazon Synopsis: Doreen Virtue frequently hears this question at her workshops, and usually points them to her book Healing with the Angels. Yet, even that book is a bit advanced for newcomers. One morning she clearly saw and heard the title Angels 101, and Doreen knew that the angels wanted her to write a very basic and elementary book. Angels 101 is a nondenominational overview of who the angels are; their role in various spiritual texts and religions; the ways that angels help us and how to call upon them; information on guardian angels, archangels, and departed loved ones; and frequently asked questions about the angels. No matter where you are on a spiritual or religious path, this book is sure to deepen your understanding and love of the angels—and it makes the perfect gift for someone new to these concepts! Amazon Synopsis: Doreen Virtue has taught her Angel Therapy Practitioner course since 1997, helping thousands to learn the skills of spiritual healing and psychic readings in concert with the angels and archangels. Now, she has amassed the tools, secrets, and exercises that she teaches her students in a comprehensive handbook. Whether you're a professional healer, or just want to polish your natural spiritual gifts, this handbook is a vital reference tool that you can refer to again and again. Amazon Synopsis: Many People have seen angels, apparitions of deceased loved ones, and ascended masters, as you'll read about in this groundbreaking collection of true stories by bestselling author Doreen Virtue, Ph.D. You'll be entertained and amazed by the beautiful descriptions that these individuals relate, and you'll be privy to the vital messages from their deceased loved ones during dreams, and hear about helpful strangers who appeared from out of the blue during a crisis and then suddenly disappeared. Doreen also gives you step-by-step instructions that will help you see and visually connect with your angels! Amazon Synopsis: Do you wonder whether there are angels around you, who they are, and what they look like? In this eye-opening book, you'll read uplifting, true stories by ordinary people who have had extraordinary experiences. Amazon Synopsis: When Doreen and her son Grant Virtue were recording podcasts, they noticed that whenever she said the word angel, the recording graphics were shaped like angel wings! So they studied the other words she said and realized that those with a spiritual or loving basis had large graphs. So they experimented with saying negative words and found that their appearance was completely different: tight and small. Similar to Masaru Emoto’s work with water crystals, Angel Words gives visual proof of the power and impact of speaking in a loving way. You’ll come to understand why positive words express the most energy and therefore have the most power to manifest your dreams. You'll also see how negative words have low energy and read how they can actually draw negative experiences to you. This unforgettable book will immediately motivate you to choose positive words! Amazon Synopsis: Legions of loving and trustworthy archangels watch over you, and you can develop an even closer relationship with them by learning their names and specialties. In this uplifting nondenominational book, Doreen Virtue guides you in connecting with her 15 favorite archangels. You’ll read true stories from people who have received protection, miraculous healings, and amazing guidance from these beloved Heavenly beings. Archangels want to help you live a healthier and happier life. As unlimited beings, they can assist everyone simultaneously, and this fascinating book will teach you which ones to call upon for various situations. Whether you’re new to working with angels or someone who has believed in them all your life, you’ll want to refer to Archangels 101 again and again. Amazon Synopsis: This is a guide to working and healing with divinities and deities. "Archangels and Ascended Masters" is a thoroughly researched book in a lively encyclopedia format, listing 77 divinities from Greek, Roman, Egyptian, Asian, Babylonian, Tibetan, Buddhist, Celtic, Theosophical, New Age, Catholic, Cabalistic, Jewish, and Christian roots. Doreen Virtue carefully studied and wrote about the history of each of the deities, what role they serve today, how they can help us with specific life problems, and how to call upon each one. Amazon Synopsis: When you clear away negative energy residues from fear and worry, your natural spiritual power awakens. This innate power allows you to know the future; freely communicate with God and the angels; and heal yourself, others, and the planet. In Chakra Clearing, Doreen Virtue guides you through meditations and visualizations to clear your chakras, which activates your inborn healing and psychic abilities. Enclosed you’ll also find a meditative CD that complements the material in the book. The CD starts with a morning meditation designed to begin your day with a bright, positive energy frequency and surround you with healing light. The relaxing evening meditation that follows clears away energy that you may have absorbed during the day, and invites angels to enter your dreams and give you divine messages. Amazon Synopsis: Begin each morning by communing with your angels, using the 365 channelled meditations in this beautiful gift edition by best-selling author Doreen Virtue. Each page offers a comforting and uplifting message that sets a positive and healing tone for the day. This material also functions as a divination tool, as you can ask a question and open the book to a thought that provides guidance, support, answers, and encouragement. Daily Guidance from Your Angels will keep you centered in peacefulness throughout the day, and will help you remember that your angels are always beside you, ready to assist you with every area of your life. A beautiful ribbon bookmark bound into the spine is the perfect way to easily mark your place, both morning and evening. This book makes the perfect gift for those you love . . . including yourself! Amazon Synopsis: The same methods I teach my workshop audiences are in this book. These methods have successfully enabled thousands of my workshop attendees to receive Divine messages. My workshop audience members come from every conceivable age group, nationality, education and income level, and race. They are from Protestant, Catholic, New Thought, Mormon, Jewish, Buddhist, Muslim, agnostic, and countless other backgrounds. Just like my workshops, this book is for all faiths, because God sends messages and angels to everyone. Amazon Synopsis: You have natural magical abilities that can elevate your life to a whole new level, as well as heal and help your loved ones and clients. The original teacher of this Divine magic was an Egyptian sage named Hermes Trismegistus. His teachings, called “Hermetics,” were only taught verbally or in very cryptic writings. In 1908, three Hermetic students wrote these teachings in a book called The Kybalion. Yet, this book was still difficult to understand because of its archaic and confusing language. Now in Divine Magic, Doreen Virtue presents a clearly edited version of The Kybalion, written in understandable and modern language. She gives comments and practical suggestions based upon her own success in using Hermetic teachings for healing and manifestation. With Divine Magic, you can master your moods, release negativity, manifest new levels of abundance, and attract wonderful opportunities in all areas of your life. *Includes a meditative CD. Amazon Synopsis: Dr. Virtue teaches us how to use our sixth sense so we can lay our hearts open to the possibility of healing. Begin a dialogue with the angels and you can achieve, in a practical way, the fulfilling life you want and deserve. In Divine Prescriptions, bestselling author Dr. Doreen Virtue illuminates the ways all of us can receive healing messages from God and the guardian angels when we need guidance. The angels will speak to us about health, family, relationships, finances, and careers, and Divine Prescriptions proves that fact citing case studies, angel readings, and transcripts from Dr. Virtue’s angel therapy sessions. When the problems we face are too complex to be solved by counsellors, friends, or even Dear Abby, Dr. Virtue shows us another way—a divine way—to discover answers. Divine Prescriptions also explains how and why God and our guardian angels use us as messengers to give advice and consolation to others. She explains how to distinguish between normal conversations and key messages from the angels (who are constantly around us) and provides step-by-step instructions for performing angel readings. Dr. Virtue’s universe is benign, the angels around us mean us well, and once we are able to receive their vitally important communications our goals and those of the people we love will become attainable. Amazon Synopsis: In the same way that "The Indigo Children" was a phenomenon that was much talked-about, before the book came out and explained it, "Earth Angels" is a topic of much discussion among spiritually minded people world-wide. Four years ago, Doreen Virtue wrote an article on the topic, and then a chapter in her book, "Healing with the Angels," and then more information in "Healing with the Fairies." Since that time, Doreen has been flooded with letters from people who resonate with the idea, requesting more information. "Earth Angels" will be the first book devoted to the topic. Doreen will describe the five different types of lightworkers: Incarnated Angels (those who had previous lives as angels, but who are now here as humans); Incarnated Elementals (those whose previous lives were in the elemental kingdom, as fairies, elves, etc. ); Starpeople (those who have lived the majority of their past lives on other planets); Walk-In's (those who came from a high spiritual realm and walked-in to another person's life, as that soul gladly exited their body); and Reincarnated Sorcerers, Sorceresses, and Wizards (those whose most recent past life was during Arthurian or Atlantean times, when they practiced high magic). The book will include dozens of case studies; a fascinating analysis of an extensive survey that Doreen has conducted among people who identify with the five types of Earth Angels; and guidance to help readers to feel happier about their lives, their own idiosyncrasies, and their missions. Amazon Synopsis: Fairies are very real and loving beings who want to help us live joyful, prosperous, and healthy lives. In this enlightening book, Doreen Virtue clearly explains who the fairies are, how they’re helping us, and ways to connect with their magical energy. Amazon Synopsis: Whether it’s a life-threatening condition, a painful injury, or an annoying health issue, Archangel Raphael is able to heal it! In this inspiring book, Doreen Virtue shows you why Archangel Raphael has long been regarded as the healing angel. He’s a nondenominational miracle worker who helps everyone who asks. Amazon Synopsis: How the angels can assist you in every area of your life. "Healing with the Angels" is an inspirational work that reveals how to work with the angels to improve your physical, mental, and emotional health. Amazon Synopsis: "Healing with the Fairies" is Doreen's very personal story of how the fairies helped her deal with a divorce and prepare for a spiritually based relationship. In this truly inspired book, you'll see how the fairies introduced Doreen to her lifelong soulmate, and you'll also learn about the fairies' incredible powers of manifestation. Amazon Synopsis: Doreen Virtue has created this book to give you daily reminders to ask for your angels’ assistance with anything and everything. All the entries within come directly from the angels, so by reading their words daily, you’ll be immersed in the sweet energy of their love. This will help you be more aware of your own guardian angels’ messages for you. With the help of this book, each of your days will be filled with blessings, miracles, and joy! Amazon Synopsis: How to Hear Your Angels is a step-by-step manual on how to clearly receive messages from your angels and guides. The material was culled from Doreen Virtue’s best-selling book Messages from Your Angels and from her workshops. Doreen has been assigning this reading material to her Angel Therapy Practitioner™ students for many years, and at their request has compiled the information in this handy book. Within these pages, you’ll discover your communication “style” so that you can more easily recognize the visions, words, thoughts, and feelings you receive as Divine guidance. The book is filled with charts to help you discern the difference between true Divine guidance and the voice of the ego, and it will help you engage in clear and understandable conversations with Heaven. Amazon Synopsis: This is a practical guide to making dreams come true. Learn how to change your life for the positive with this inspiring work from Doreen Virtue. Amazon Synopsis: Offering a plethora of tips on how to spice up a stagnating relationship, a guide for couples reveals ways to help both partners get in touch with their sexual selves while providing romance-enhancing ideas. Amazon Synopsis: In The Lightworker's Way, Dr Doreen Virtue takes you on a spiritual adventure as she recounts her own life story of awakening her healing and clairvoyant power. You are a lightworker if you feel called to heal others; want to resolve the world's social and environmental problems; believe that spiritual methods can heal any situation; feel compelled to write, teach, or counsel others; and know that you are here for a higher purpose, even if you are unsure what it is or how to fulfill it. Right now, lightworker's are awakening to faint memories of their divine life missions. They hear an inner calling that can't be ignored. This call is a reminder that it is now time to get to work in healing the planet and its population. Dr Virtue helps you reawaken the natural gifts that you have within you. You will learn how to conduct healing sessions, heighten your psychic receptivity, call upon the angels that are always by your side, and learn how to open your "third eye". Amazon Synopsis: Mermaids are powerful and graceful inhabitants of the waters who can teach us about harnessing the unconscious mind’s ability to attract, create, and manifest . . . while having a fun and playful life! In this latest entry into her best-selling 101 book series (which include Angels 101, Archangels 101, and Fairies 101), Doreen Virtue gives you the fascinating history of mermaids and mermen from Atlantis and beyond. Amazon Synopsis: Doreen Virtue delivers powerful, comforting, and inspiring messages from the angelic realm. These messages help listeners to clarify their indecision, to feel better about themselves, and to understand the role of the angels in their lives. Topics addressed include: life's purpose, love life, children, self-employment, finances and abundance, health and healing, finding courage, peace of mind, and the spiritual path. Amazon Synopsis: Archangel Gabriel is the famous messenger angel from the Christmas story of Luke. In this compelling book, Doreen Virtue offers more information on the history and characteristics of Gabriel, to increase your knowledge of and connection with this remarkable angel. Gabriel is still with us, helping people be messenger angels—including teachers, writers, musicians, and artists—and helping parents conceive, adopt, and raise their children. You’ll read true stories of people who were miraculously aided by Gabriel, and learn how you, too, can receive assistance with your messenger work and parenting. Amazon Synopsis: Archangel Michael is a powerful protector who helps everyone who calls upon him. In this enlightening work, Doreen Virtue teaches the many ways in which Michael brings peace to people everywhere. The book includes fascinating true stories of how Michael has protected people while driving, guided their careers, safeguarded their children . . . and even reveals his little-known talents for repairing mechanical and electronic machines! Amazon Synopsis: Angels appearing from out of nowhere to save lives, give guidance, and provide loving assistance embody the topics of the true stories that appear each week in Doreen Virtue’s weekly angel column in Woman’s World magazine. Now, the best columns have been collected into this inspirational and heartwarming book. You’ll enjoy reading these awe-inspiring accounts, along with Doreen’s comments and channeled advice on ways to connect with your own guardian angels. Amazon Synopsis: Since the publication of her best-selling book Earth Angels (more than 80,000 copies sold), Doreen Virtue presented workshops about these lightworkers to several international audiences, which yielded additional information about the various realms that these beings originate from. In addition to the “core realms” that Doreen discussed in the first book (Incarnated Angels, Incarnated Elementals, Star People, and Wise Ones), some new realms have been discovered. In Realms of the Earth Angels, Doreen discusses the original Earth Angels book, plus gives updated descriptions about the new realms, which include Mystic Angels (half-angel, half-wise one); Leprechauns (half-elemental, half-wise one); Merpeople; Knights; and more. As with the original book, you, the reader, can take an expanded quiz to help you recognize your own realm. Each realm has its own chapter, with Earth Angel characteristics, suggestions, advice, and case studies. Amazon Synopsis: Do you wonder whether there are angels around you, who they are, and what they look like? In this inspiring work—which is a compilation of the best of Doreen Virtue’s books Angel Visions and Angel Visions II, plus all-new material—you’ll read uplifting, true stories by ordinary people who have had extraordinary experiences. Doreen has combed through thousands of reports of angel visions to bring you the most touching and revealing accounts possible. You’ll read about children and adults who received lifesaving messages from their guardian angels, deceased loved ones, and ascended masters; and find out about helpful strangers who appeared from out of the blue during a crisis and then suddenly disappeared. Doreen also gives you step-by-step instructions that will help you see and visually connect with your angels! Amazon Synopsis: Your guardian angels are continually giving you messages, frequently through signs, such as seeing rainbows, repetitive number sequences, finding coins or feathers, and hearing meaningful songs. Amazon Description: Every night when you’re asleep, your angels, your unconscious mind, and the universe are giving you guidance, answers to your questions, and cautionary signs. You can take charge of your life and experience deep healing by understanding and processing these dream messages. This guidebook to accompany the Angel Dreams Oracle Cards gives you step-by-step instructions on how to conduct accurate and trustworthy dream readings to resolve your deepest questions and concerns. It explains the meanings of the 55 dream symbols in the deck and provides specific details that can shine light upon your unconscious mind. In this way, you can harness the power of your dreams to steer yourself in your desired direction! Amazon Description: Tarot has long been revered for giving detailed and accurate forecasts. Doreen Virtue and Radleigh Valentine have created the first deck of tarot cards that is 100 percent gentle, safe, and trustworthy! All of the words in this deck, as well as the artwork by Steve A. Roberts, are positive and beautiful, while still retaining the magical effectiveness of traditional tarot. The accompanying guidebook explains the general meaning of each card and walks you through the steps of giving an accurate reading for yourself and others. Rich with symbolism and imagery - including angels, archangels, unicorns, fairies, and mermaids - the 'Angel Tarot Cards' will provide you with inspiring guidance on your life journey! Amazon Description: This easy-to-use deck is appropriate for beginners as well as those experienced with divination cards. Angel Therapy is a powerful healing and guidance process that involves working with your guardian angels and the archangels (particularly Michael and Raphael). These oracle cards and the enclosed guidebook give you action steps to take that will initiate healing; help you release fears and emotional blocks; and give you messages about your life purpose, relationships, manifestations, and more. Each card features a gorgeous painting of angels and a message or answer for you, and is suitable for both children and adults. The guidebook walks you through the steps for giving an oracle reading for yourself or others, and outlines the extended meanings behind each card. Amazon Description: Whether it’s a life-threatening condition, a painful injury, or an annoying health issue, Archangel Raphael is able to heal it! In this inspiring book, Doreen Virtue shows you why Archangel Raphael has long been regarded as the healing angel. He’s a nondenominational miracle worker who helps everyone who asks. Amazon Description: Now you can give yourself and others accurate, loving, and helpful readings about health and healing. Each oracle card features a gorgeous painting of Archangel Raphael. The enclosed guidebook gives you step-by-step instructions on how to conduct safe and powerful readings about your own health and that of your loved ones and clients. It explains the general meaning of each card and provides specific details that can offer you more clarity and help you tap into your intuition. Whether you're seeking a healing for yourself, for someone else, or want to awaken your own natural healing abilities, Archangel Raphael brings you miracles and trustworthy guidance . . . and all you need to do is ask! Amazon Description: Archangels are very powerful, wise, and loving guides who can motivate and heal you in miraculous ways. This deck of 45 oracle cards by Doreen Virtue will familiarize you with the 15 archangels, give you messages from them, help you to invoke them, and answer some of your important life questions. You'll learn how to give an accurate archangel reading for yourself and others with the help of the enclosed guidebook. Amazon Description: By popular demand, Doreen Virtue has created a beautiful deck of cards based on her best-selling book 'Archangels & Ascended Masters.' The deck includes gorgeous paintings of 44 male and female cross-cultural deities, such as Ganesha, Merlin, Saint-Germain, Apollo, Pallas Athena, White Buffalo Calf Woman, Jesus, Moses, Yogananda, Green Man, and Kuthumi. The enclosed guidebook gives expanded explanations of each card's meaning, and a brief history of each ascended master. As with each of Doreen's oracle-card decks, the messages for each card are positive, accurate, and life-affirming. Amazon Description: This 44-card deck offers comforting and uplifting messages, to set a positive and healing tone for the day. It also functions as a divination tool, as you can ask a question and find the message that gives you guidance and answers. Amazon Description: This beautiful little package includes 44 oracle cards-each with a unique Victorian-style or Old Master-style angel picture on one side. There are no negative or frightening cards in this deck! A small instruction booklet is also included in the package. It explains the full meaning of each card, and includes angel messages about healing from various life challenges. Learn how to give "angel readings" with the cards, and have fun with your friends and family! Amazon Description: Fairies are nature's powerful guardian angels, and they can miraculously assist you with your self-esteem, relationships, health, and career. The fairies will help you find new inner strength and confidence, and guide you in treating yourself with greater love and respect. Amazon Description: Before you were born, you worked with your angels to orchestrate a life mission that would help others and be emotionally rewarding. This card deck by Doreen Virtue will allow you to conduct accurate and trustworthy readings to explore that life purpose. Each of the 44 beautifully illustrated cards contains an illuminating message from the angels related to this topic. The accompanying guidebook explains the general meanings of the cards and provides specific details that can offer more clarity about your career and spiritual path. Whether you're seeking answers for yourself or your loved ones and clients, these cards can yield valuable insights. The angels are happy to guide every aspect of your life purpose! Amazon Description: The Magical Mermaids and Dolphins Oracle Cards are specifically designed to help you manifest your goals, life purpose, and Divinely inspired dreams. These 44 beautifully illustrated cards can help you swim into the ocean of your unconscious mind, where profound thoughts and feelings can create—or block—your heart’s desire. The cards are easy to use, and the enclosed guidebook will help you perform amazingly accurate readings for yourself or others. Amazon Description: This easy-to-use deck of oracle cards is appropriate for beginners as well as those experienced with divination cards. Fairies are beloved “nature angels” who, since they’re so close to the earth, are brilliant at healing and helping with everyday concerns such as relationships, health issues, and finances. Amazon Description: With the Magical Unicorns Oracle Cards deck, you can receive messages and guidance related to your present life, your future, and your spiritual path. Suitable for adults and children of all ages, each card features a beautiful unicorn painting and a life-affirming message. The enclosed easy-to-follow guidebook allows you to instantly give accurate readings to yourself and others. Amazon Description: This card deck makes it even easier than ever to give an amazingly accurate angel reading for yourself or others. Each card has a gorgeous angel painting, along with a one- or two-sentence message. The messages are specific and to-the-point, which makes for angel readings that have specific details and guidance. As before, the cards and accompanying booklet are positive and uplifting. However, they are much more detailed and give exact step-by-step guidance, rather than an ambiguous one-word meaning. The cards help people to know what their exact life purpose is, whether someone is their soulmate or not, what to do about their job, where they live, and other important life questions. There is also a "Yes" card and a "No" card. Doreen based the cards upon her actual angel readings, using the most commonly asked questions and angelic answers, to create the ultimate card deck for the beginner and the advanced card reader. Amazon Description: The Romance Angels are a group of cherubic angels who are focused upon all things love related. Anyone can call upon these beings, and they’re able to help unlimited numbers of people simultaneously. This beautifully illustrated card deck by Doreen Virtue will allow you to receive angelic guidance about your romantic status, as well as conduct accurate and trustworthy readings for your friends and clients. The Romance Angels Oracle Cards can offer you more clarity about soul-mate relationships, healing from the past, and attracting more love into your life. Whether you’re seeking answers for yourself or someone else, these cards can yield valuable insights. The Romance Angels are happy to guide you to a lifetime of love! Amazon Description: Now you can easily receive messages and guidance from beloved saints such as Mother Teresa, Bernadette, Joan of Arc, Hildegard, Padre Pio, Anthony, Francis, and Bridget. Doreen Virtue has created a nondenominational deck of oracle cards that people from various spiritual and religious backgrounds are sure to appreciate and enjoy. Forty-four cards with breathtaking artwork depicting God, the Holy Spirit, Jesus, saints, archangels, and guardian angels give you answers, gentle guidance, and messages. A guidebook accompanying the cards thoroughly explains how to receive guidance about the present and future, how to give an accurate reading to another person, and the general meanings of each card’s message. Synopsis: King Solomon knew how to harness universal energies to build his temple, tap into wisdom, and enjoy all of life’s riches. The only thing he was missing was true love. Makeda, the Queen of Sheba, was young and filled with exuberant curiosity about the world. On her journey to meet King Solomon, Makeda learned about the Jinn elemental realm and how to work with the sun and moon’s magical light, but she still wasn’t sure how to take charge of her own life. In Solomon’s Angels, Doreen Virtue’s first novel, which is based on thoroughly researched historical, biblical, archaeological, and culturally accurate information, you’ll see how Solomon and Makeda’s meeting changed both of their lives forever. You’ll peek over the Queen of Sheba’s shoulder and discover the ancient secrets behind how Solomon’s temple was built without hammers and saws, and the role that the archangels and sacred geometry played in manifestation and divine magic. Solomon and Makeda’s magically romantic story will inspire you in many ways ... long after you’ve finished reading it! Amazon Synopsis: Dr Doreen Virtue is a psychotherapist and former director of an adolescent mental health centre. With the is book, she presents girls between the ages of ten and four teen with a guide to the emotional changes they are likely to be experiencing. Amazon Synopsis: 4 and up. 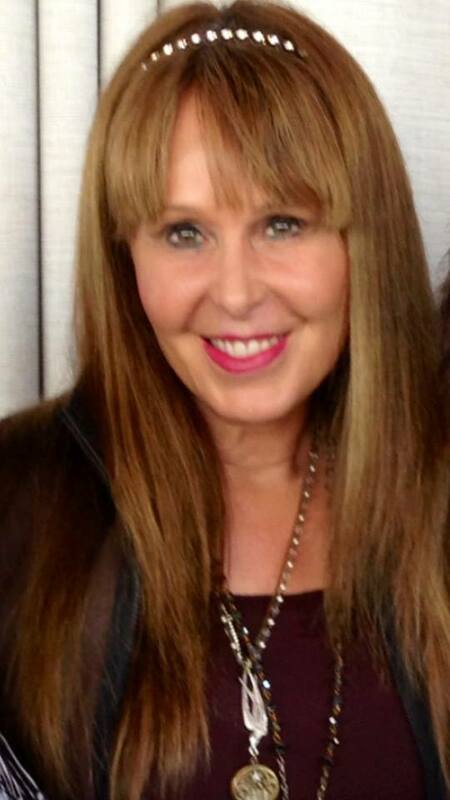 Best-selling author and “angel lady” Doreen Virtue has written her first book for children! Thank You, Angels! introduces young children to the world of angels and teaches them how these heavenly beings can help them in many ways. Kids will learn how to ask an angel for help, how to recognize an angel’s voice, and what signs angels may use to let kids know that they’re there. This book offers children a sense of comfort and peace by showing them that they’re never alone. Amazon Description: Did you know that you have guardian angels with you right now who can give you loving guidance to help you in all aspects of your life? Would you like to receive clear messages from your angels? Well, you have guardian angels with you right now who can give you loving guidance to help you in all aspects of your life. Doreen Virtue has taught thousands of people all over the world how to connect with their angels through her classes, books, oracle cards, and audio programs. Now, Doreen has created a special kit based on her years of research, explaining how to hear, see, feel, and know our angels and their messages. The kit contains a special workbook filled with easy-to-follow steps; a new CD in which Doreen guides you through the process of discovering your angels’ identities and messages; a journal that will allow you to track your angelic communications; a rose quartz crystal to help you feel your angels’ loving guidance; natural incense to help elevate your spiritual frequency; 12 original angel oracle cards to help you instantly connect with your angels; and Dead Sea bath salts to help you clear away negativity from your mind and body. Whether you want to connect with archangels, guardian angels, ascended masters, departed loved ones, or the Creator, this kit will be an invaluable tool to support your spiritual growth and Divine communication abilities! Amazon Description: Whether or not you believe in past lives, there are very real therapeutic benefits from undergoing a past-life regression session. In this enlightening audiocassette, Doreen Virtue, Ph.D., discusses how her clients have healed from phobias, addictions, and mood disorders by recalling their past lives. She also talks about how our past lives give us important clues about the Divine life purpose of our present life. Doreen reminds us that with the help of our guardian angels, we can discern important information about our past lives in a safe and gentle manner. Description: Doreen Virtue has taught thousands worldwide how to use her oracle cards to give accurate and healing readings. The cards allow you to peek into your future and understand how to heal every area of your life. Now, Doreen's classroom is captured on a DVD that allows you to experience her teachings on using the oracle cards at your own pace and in the privacy of your home. Topics featured on the DVD course include: how to clear and consecrate a deck of oracle cards; how to quickly and easily interpret the cards' meanings; different card spreads; how to give readings for others; how to invoke the angels; and much, much more. We recommend that you keep one of Doreen's oracle-card decks on hand as you watch the DVD. By having these cards at your fingertips, you'll be able to follow along with Doreen as she goes through the easy, step-by-step directions for using them. Description: Doreen Virtue has taught thousands worldwide how to use her oracle cards to give accurate and healing readings. The cards allow you to peek into your future and understand how to heal every area of your life. Now, Doreen’s classroom is captured on a DVD that allows you to experience her teachings about using the oracle cards at your own pace and in the privacy of your home. Other topics featured in the DVD course include: how to clear and consecrate a deck of oracle cards; how to quickly and easily interpret the cards’ meanings; different card spreads; how to give readings for others; how to invoke the angels; and much, much more.